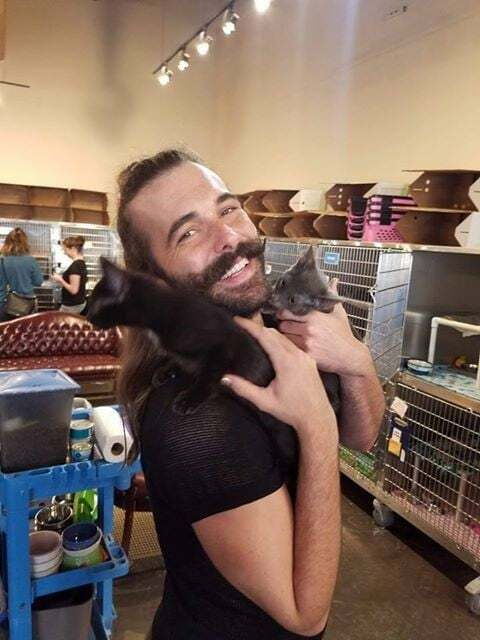 Known for his expertise in the area of grooming, one of the stars of the Netflix reboot of Queer Eye took a big shine to a pair of kittens. “What’s better than adopting one kitten? Two kittens!! 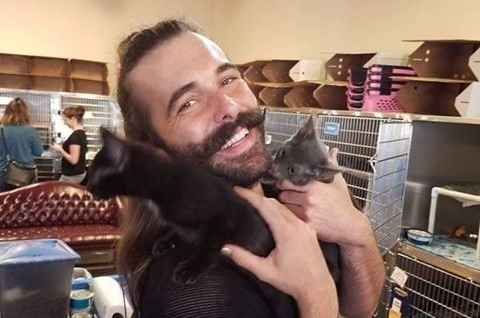 Congratulations to Queer Eye star Jonathan Van Ness on his adoption of two adorable kittens from KC Pet Project’s Zona Rosa Adoption Center. The little black kitten was brought to us as a stray and the gray one survived deadly panleukopenia, which is similar to parvo virus in dogs. Van Ness, a professional hairstylist, knows a thing or two about grooming, so cats seem to be right up his alley. Afterall, what creature doesn’t have a nicer set grooming habits or decided regime than the feline set? While as humans we have learned to take care of ourselves often with the help of tools, cats seem better equipped naturally. It is a good thing, then, that someone like Jonathan Van Ness is around to keep us on the straight and narrow. And to adopt a couple of kittens into his home. With three long haired cats, helping them out with matted fur is a given! So glad to see these kids have forever homes!! This is fantastic!! No more illness for the little grey baby and no more not having a home and forever place to stay. I love it when the kids get homes!